Cabbage grows best in a relatively cool and humid climate. Leaves are more distinctly petioled and the quality of the head is impaired in drier atmospheres. The delicate flavour is also lost under these conditions. The optimum temperatures for growth and development are from 18 °C to 20 °C. It is fairly resistant to frost and can survive temperatures as low as – 3 °C without damage. Cabbage is also adapted to a wide variety of climatic conditions and can such be grown throughout the year in most regions. Water requirements vary from 380 to 500 mm per crop, depending on climate and length of growing season. Crop water use increases during the growing period with a peak towards the end of the season. 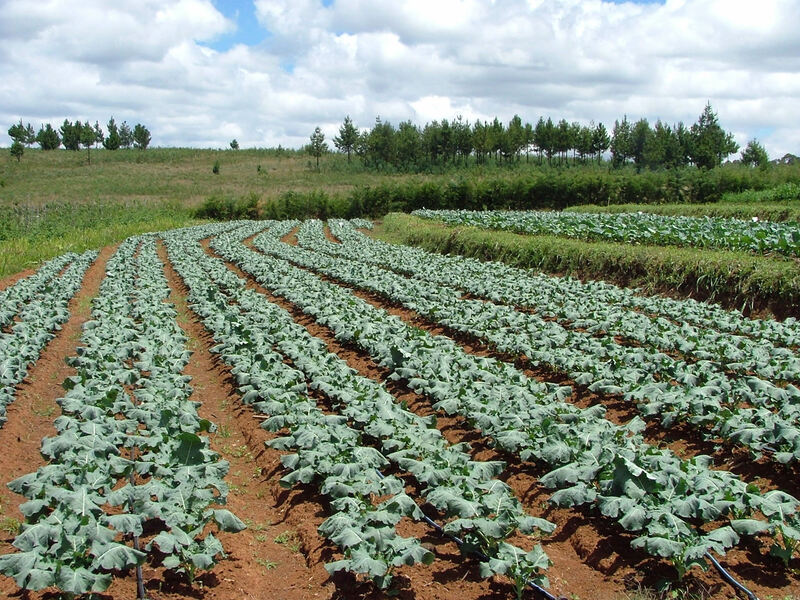 Cabbage can be grown on a wide range of soils but it thrives on well-drained, moisture-retentive loamy soils well supplied with organic matter. It does not grow well on highly acidic soil. The ideal soil pH ranges from 5,5 to 6,5 and it should not be allowed to fall below 4,5. In soils with pH above 6,5 the leaves become dark but leaf margins die back. Plants in saline soils are also highly susceptible to blackleg. You need to do a soil test first before planting cabbages.